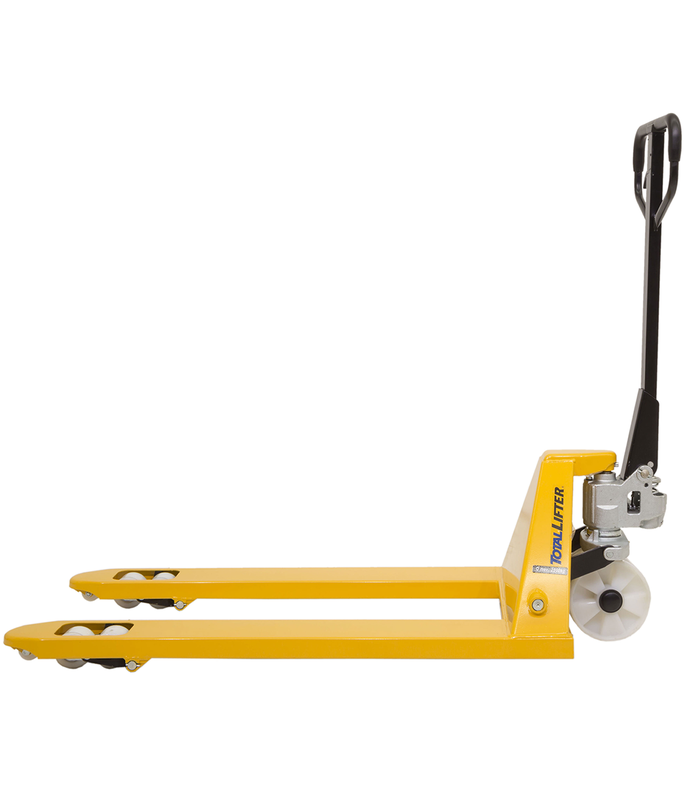 A Manual Hand Pallet Truck with a quick lifting pump. A Manual Hand Pallet Truck with a quick lifting pump. The quick lifting pump works much faster than a standard pump truck meaning less effort is needed in order to raise the Pallet Truck, meaning they are much more efficient!